The CWA (Crime Writers Association) Dagger Shortlists were announced tonight. Congratulations to all! Lots of great reading! 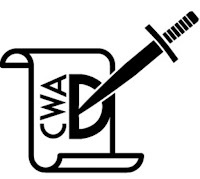 Winners will be announced during the CWA Dagger Awards dinner in London on Thursday, October 25.